I’m putting up a new page! Even though I teach secondary, I get asked a lot about incorporating makerspaces into the elementary library. So I’ve culled my favorite resources here with the help of an amazing elementary librarian Mrs. J in the Library, who has her own great blog over on Wrinkle in Tech! This post is just to introduce this shiny, new resource page. 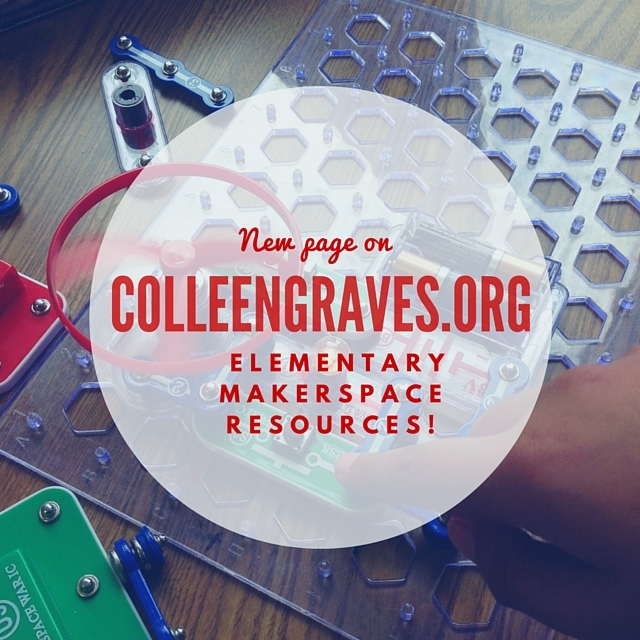 Click here to go to the Awesome Elementary Library Makerspace Resource page !